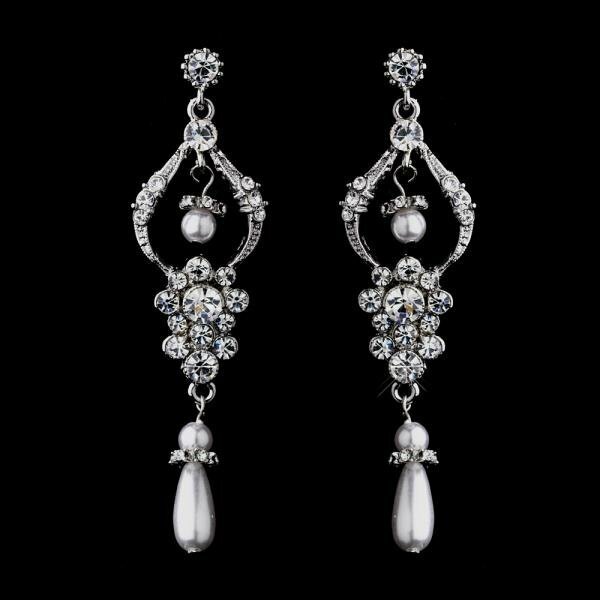 A fabulous collection of dazzling clear rhinestones and luminous white faux pearls are set in stunning antique silver plating on these lovely chandelier style earrings. This is the perfect fashion accessory for any special occasion! Size: 7 cm long x 1.9 cm at its widest. The earrings were absolutely perfect – a gift to my future daughter-in-law who was my attendant at my 30th Wedding Anniversary. The website photo is very accurate and Nicole’s service was more than excellent and she ensured that I received the order in time and is very much appreciated. I would thoroughly recommend How Divine to anyone who is having a special occasion of any kind.